1. Loving: The start of fall!!! Fall is my favorite time of year and I'm so super duper excited for the cooler weather. Yay for fall walks with the leaves crunching beneath your feet! Not loving: 90 degree temps and wearing summer clothes in the fall! So much for the cooler weather! Pffft! Not loving so much: Finding super creepy things while I'm taking photos of beautiful things outside! Where the heck did it go??? 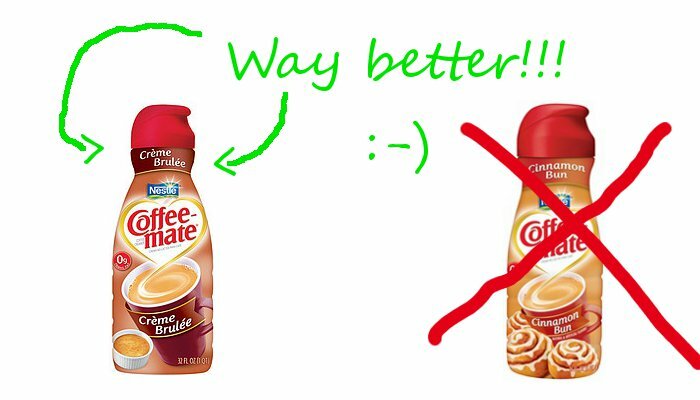 Not loving: The new creamer I decided to try. Cinnamon bun is nowhere near as good as creme brulee, fyi! 4. Loving: The awesome deals I am able to find! This incredibly cute magnetic puzzle with the little fishing pole was $24.99 at a teacher supply store I went to. I got this same one in the sidewalk clearance section at Michael's for $1.50. Yeeeaaah! Hope you are all having a wonderful weekend! What are some of the things you are loving right now? I love your fav. Things! The picture of the butterfly is lovely! What camera do you use? I'm LOVING that it does feel like fall! It was 50 this morning!!! My nephew has a couple of those magnetic puzzles & he LOVES them!